Christopher David Castro, 64, passed away on September 4, 2018. He was born January 29, 1954. 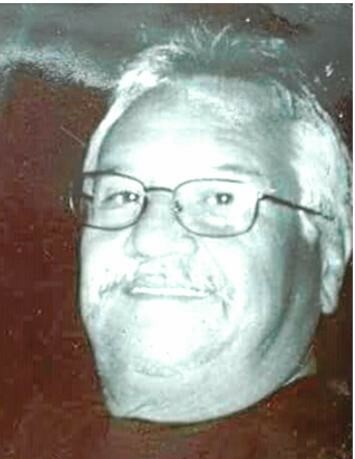 He is preceded in death by his parents, Robert and Lena Marmalejo; grandson, Robert J. Baca Jr.; siblings, Lawrence Rivera, Raymond Rivera and Lillian Gomez. Chris was a vocalist in Pueblo for 40 years. He was a true Bronco fan and loved watching them play, above he loved all spending time with his family and grandchildren. Survived by his wife, Elvira Castro; children; Victor Sanchez, Anthony Sanchez, Fred Gallegos, Andrea (Wesley) Griffin, Dedra (Mathew) Jones, Amanda Castro, Christina (Alejandro) Castro, Tashina (Robert) Baca and Kambrea (Jimmy) Lafebre; sister, Dorothy Marmolejo; nephews, Jason Marmolejo, Jared Valdez and Jacob Valdez; 22 grandchildren, 7 great-grandchildren and a host of other relatives and friends that will dearly miss him. Funeral service 10 a.m. Tuesday, Angelus Chapel.